Lake Mburo National park is Uganda’s smallest National park but full of wonders. 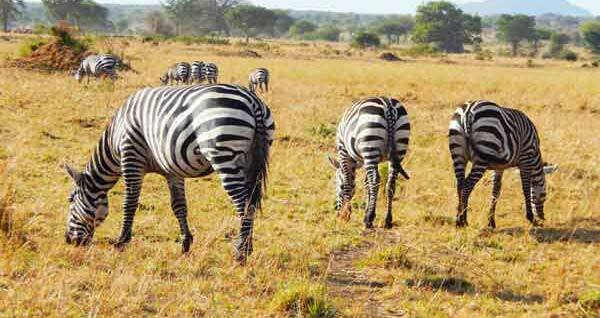 It is located southwest of Kampala and the easiest park to access in Uganda 3-4 hrs from Kampala. Large numbers of Zebras, Impalas, Topis, Elands, Leopard, Hippopotamus, Buffalos, Giraffes, Water bucks and Bushbucks are habituated in Addition to Warthogs.